Fourteen different forms of plant stem. Coloured etching by J. Pass, c. 1799. London : published as the Act directs by J. Wilkes, 12 June 1799. Botany. the different kinds of trunks and stems - no 2. J. Pass sculp. 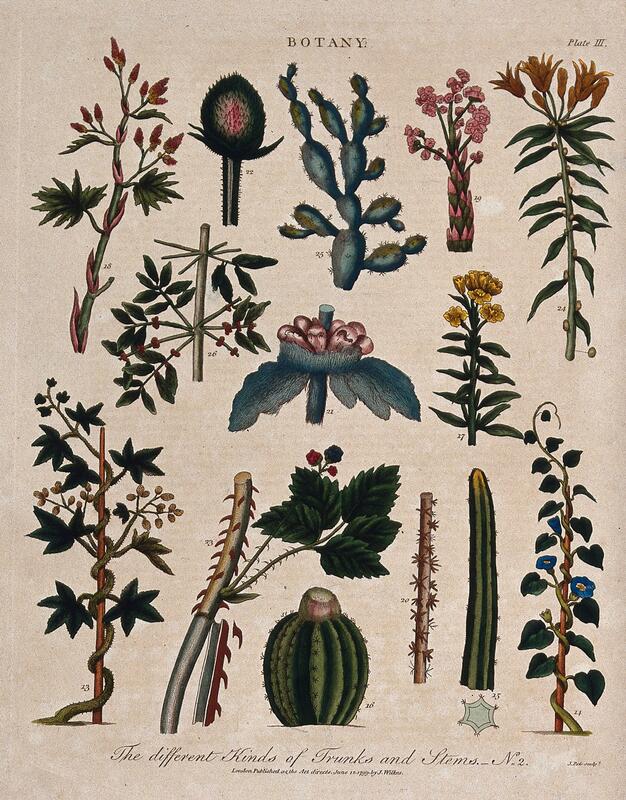 Botany |England –History –18th century.